It was right around the time that I was graduating from college that Rachael Ray was kind of coming onto the cooking scene in a major way. Nathan and I would watch 30 minute meals, and I was totally enthralled with the idea of making a well balanced meal at home . . . I guess before then I assumed that if I ever wanted to eat well again, I would have to go to my mom’s house. It wasn’t long before my mom was giving me Rachael Ray’s cook books for every major holiday . . . and it’s only now occurring to me that maybe this was a hint, lol! In a way, I feel like Rachael was one of the first people to forge the way for food bloggers. Though she never had a blog (well, at least not one that I know of), she was never a classically trained chef. She is just a pure lover of food, and kind of learned how to cook from practice. A girl after my own heart. 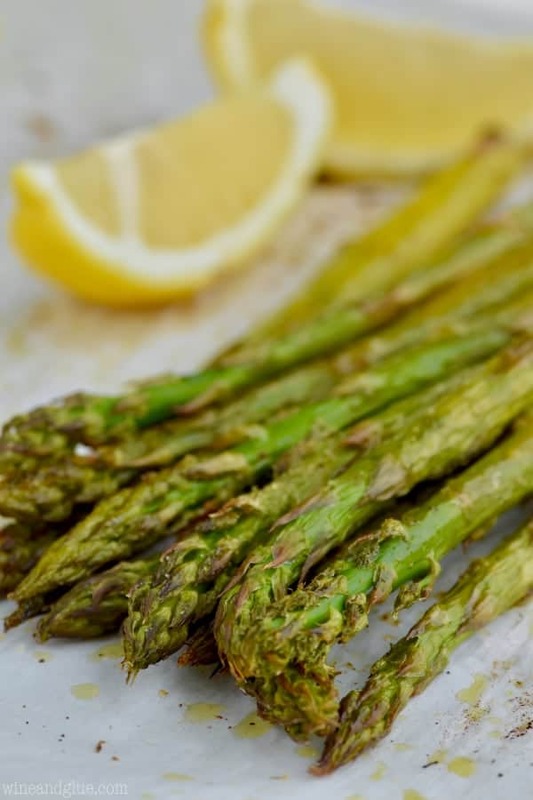 Anyway, when I was thinking about what I wanted on the blog for summer, one of the first things I thought of, was grilled pineapple slices, a recipe that I first saw on Rachael Ray’s Thirty Minute Meals. 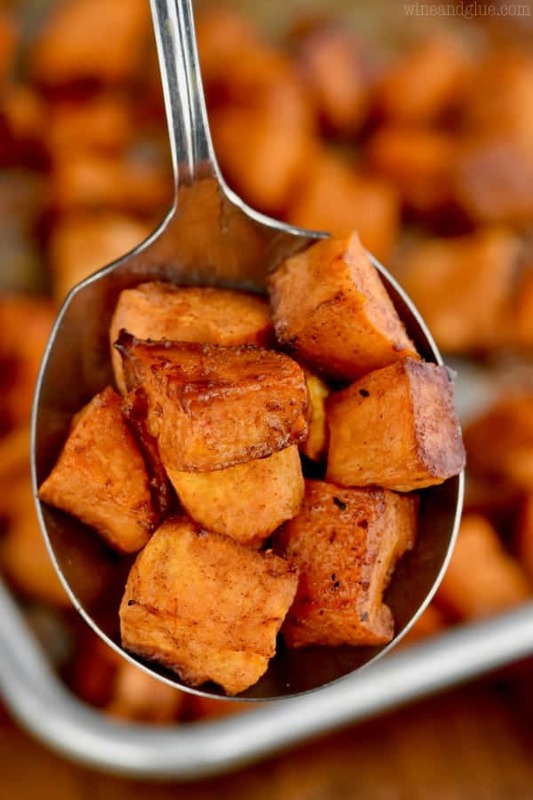 It’s so simple to make, and it can be served as a fun side dish or as a healthy dessert. Here, I’ve paired it with a really simple honey and cinnamon drizzle. It gives it a little sweetness with a kick that I think is so yummy over the warm grilled pineapple! Spray your indoor grill with a nonstick spray, or grease your grill. Grill the pineapple spears for three minutes on each side. Before serving, drizzle on some Cinnamon Honey Sauce! As I mentioned above, if you want to make this recipe in the winter, you can grab a stove top grill and go for it. It comes together so fast and grilled pineapple is pretty healthy, making it a great family friendly dessert. If you have extra grilled pineapple left over (though I doubt it), I highly recommend this Pineapple Mango Salsa! If you aren’t a mango fan, then use your left over pineapple in this Pineapple Avocado Salsa! When you can’t get enough pineapple, make this Pineapple Coconut Zucchini Bread. And if your sweet tooth is rally kicking in, make this Pineapple Cake Recipe! 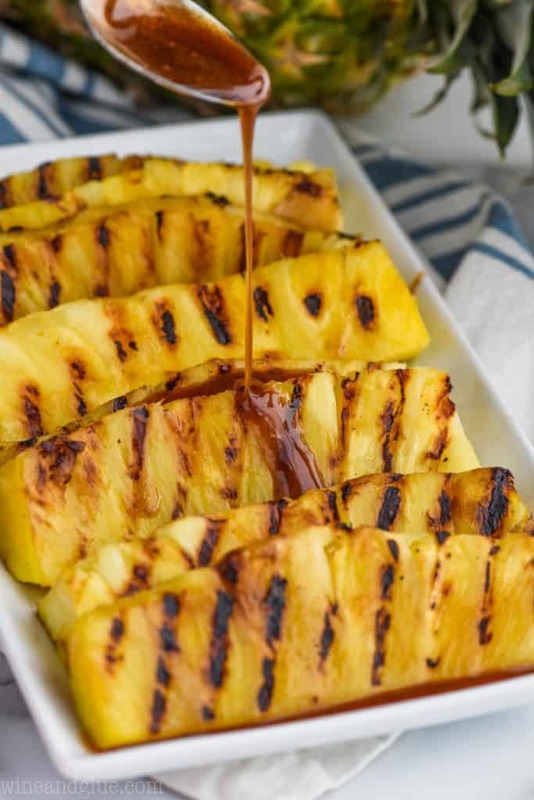 This Grilled Pineapple with Cinnamon Honey Drizzle is a perfect side dish or light dessert! The extra flavor added with the grilling combined with the amazing sauce makes this the most delicious tasty recipe. 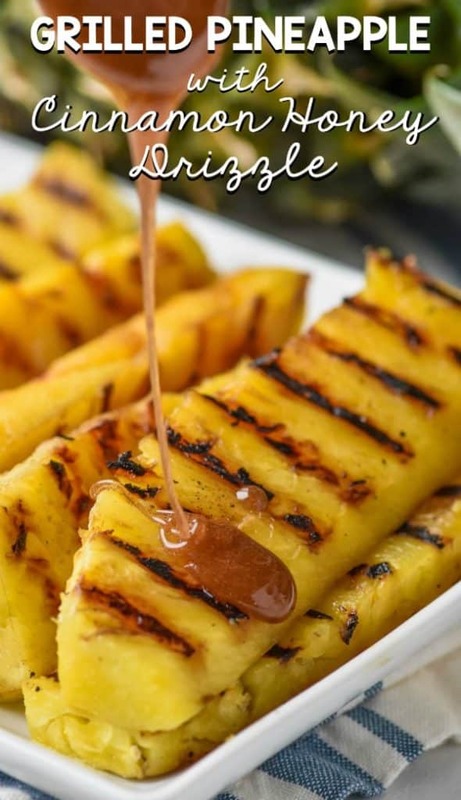 On a grill prepared with non stick spray, place pineapple slices over medium heat for about three minutes on each side. While the pineapple is grilling, mix together the honey (softened in the microwave for about 30 seconds) and the cinnamon. 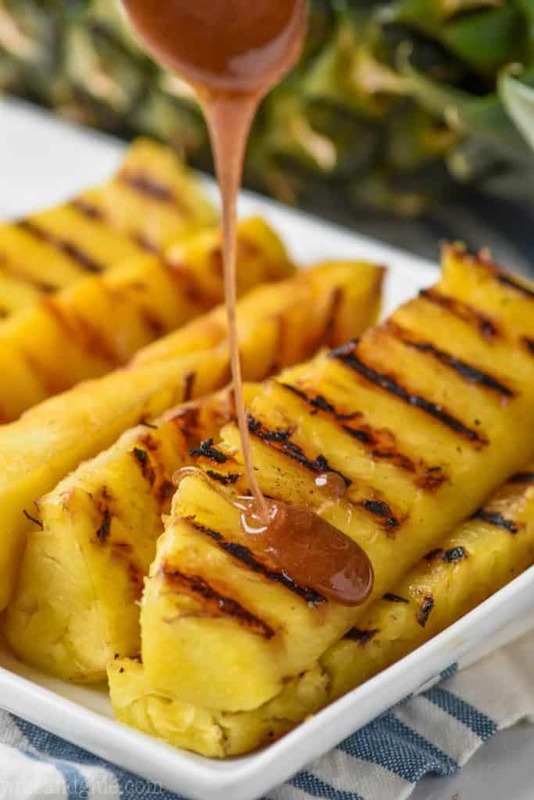 Drizzle the grilled pineapple with the honey and serve. 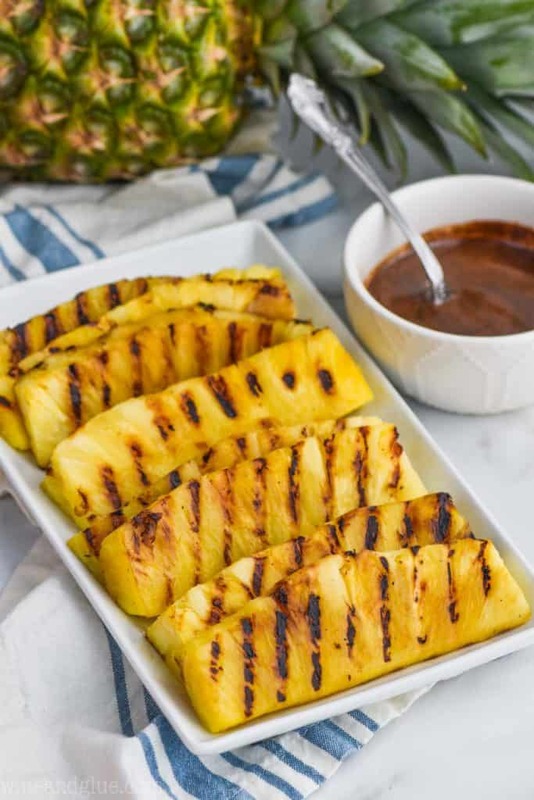 Lisa, we LOVE grilled pineapple, and this looks SO SO delicious! I love grilled fruit. It’s one of the good things I got from a now long gone male friend. Pineapple is so perfect. I love the drizzle you put on it. NOW that is something I haven’t tried. I still can’t believe I’ve never grilled pineapple yet. I have no idea what I’m waiting for! Looks delish. that looks so good and refreshing! 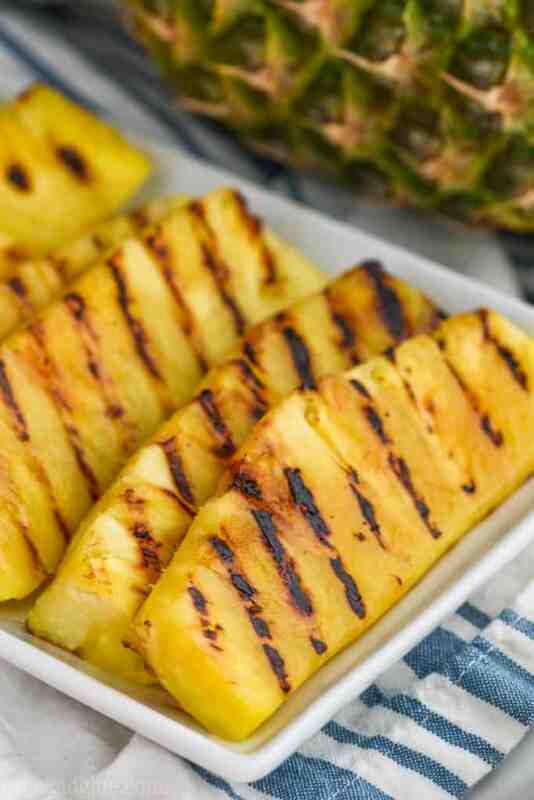 Grilled pineapple is wonderful! Love the addition of cinnamon and honey. Pinning it. Found you at Wonderfully Creative Wednesdays. This looks absolutely scrumptious, Lisa! So glad that I stumbled upon your recipe via Pinterest this week! Stopping by to let you know that I featured you on my blog today: http://bit.ly/17TmHhQ …Thanks so much for sharing! Hope you’re enjoying a lovely week!! I love pineapple and have about12 pineapples coming up in my pineapple patch. It is the great part of living here in southern Florida. I will be making lots of your pineapple this summer. I am so jealous of your pineapple crop! I hope you enjoy this! 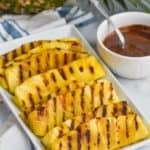 Grilled pineapple and cinnamon is one of my favorite summer desserts! I first had it in Brazil in churrascuria restaurants as a final course. The whole pineapple is cooked on the spit with the meat and then rolled in cinnamon. They come around with the big sword and cut off slabs onto your plate. Can’t wait to try it with the addition of honey!! 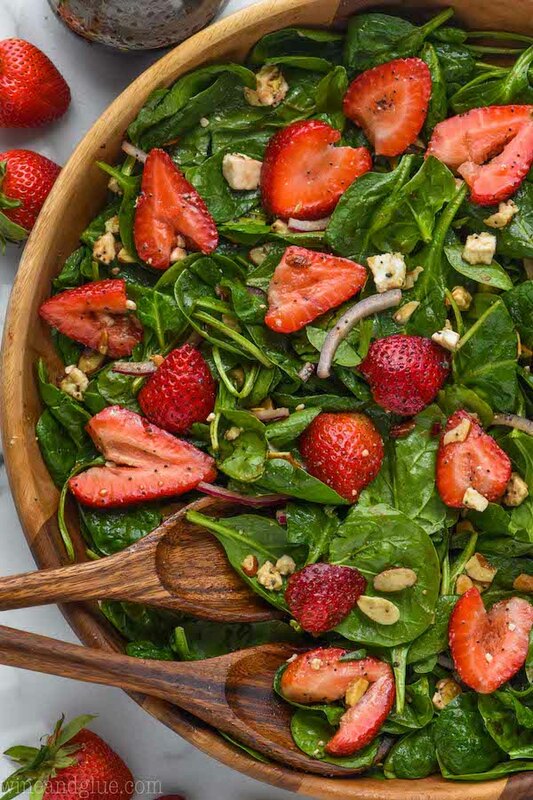 Any thoughts on how to make this ahead of time to take to a potluck? Does it need to be served warm or would room temp be acceptable? Honestly, I do think that warm, right off the grill is best. It would still be okay room temperature, but not quite as amazing.